Beam me in F... I want to be spoiled too. The cake looks fab. it does look very very moist! Gorgeous! 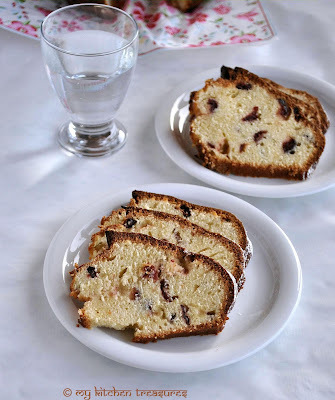 My husband and I have a weakness for pound cake - the lemon-cranberry version looks amazing. 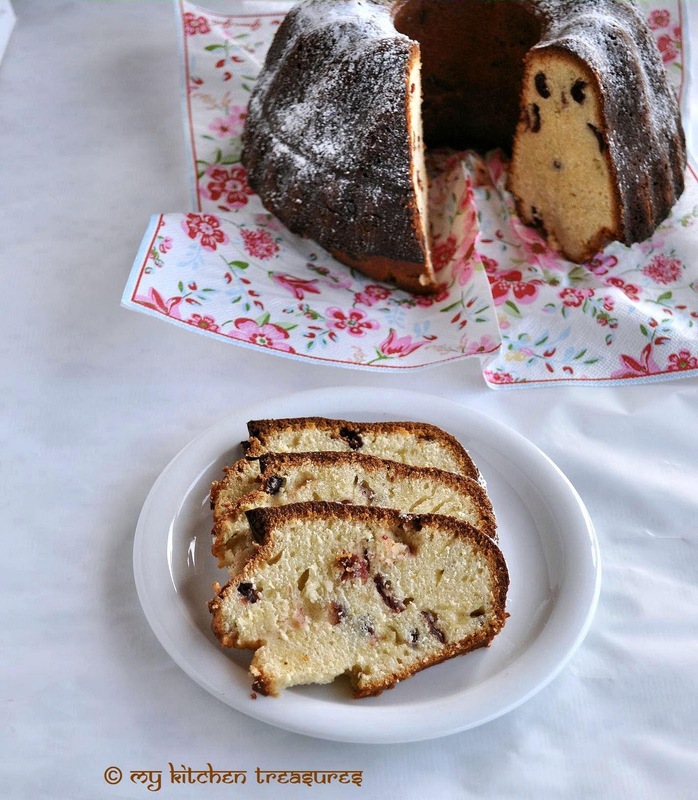 Pound cake looks irresistible,nice combo of lemon and cranberry! The cake looks too good ... love the dark border all around. Cake looks so perfect and love the color..
Love the flavour combo...hmm wish i could dig into one with my coffee now! Bundt cake looks absolutely gorgeous. first time here your cake looks yummy and tasty. lovely recipes too. Do you still have some left? I am coming to finish it :D Looks yummy! I never knew that we can celebrate this way! The slice looks fabulous! Cake has great texture!! Sure the kids loved it!! That looks gorgeous - and humongous. Like the idea of a half-yearly birthday! 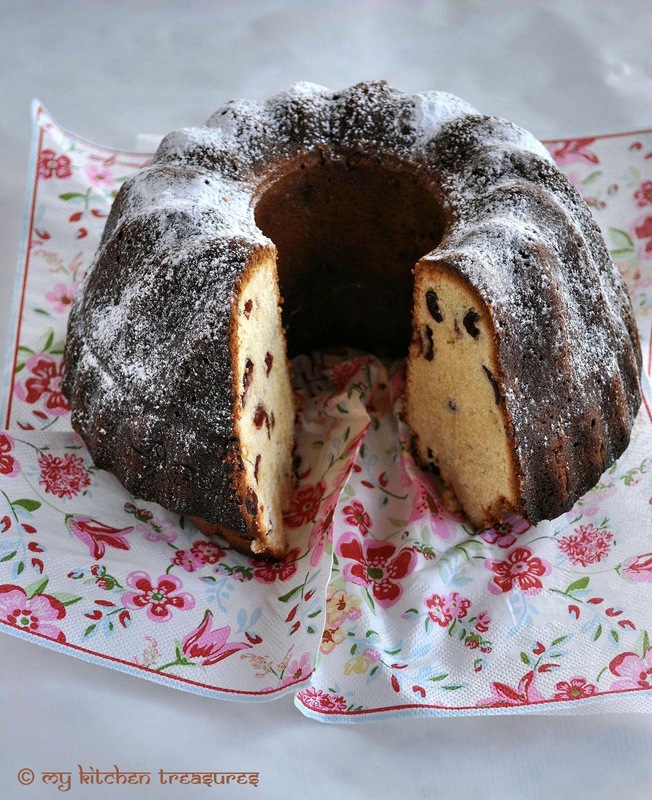 Lemon and cranberry in a pound cake. Just the sound of it is tasty. 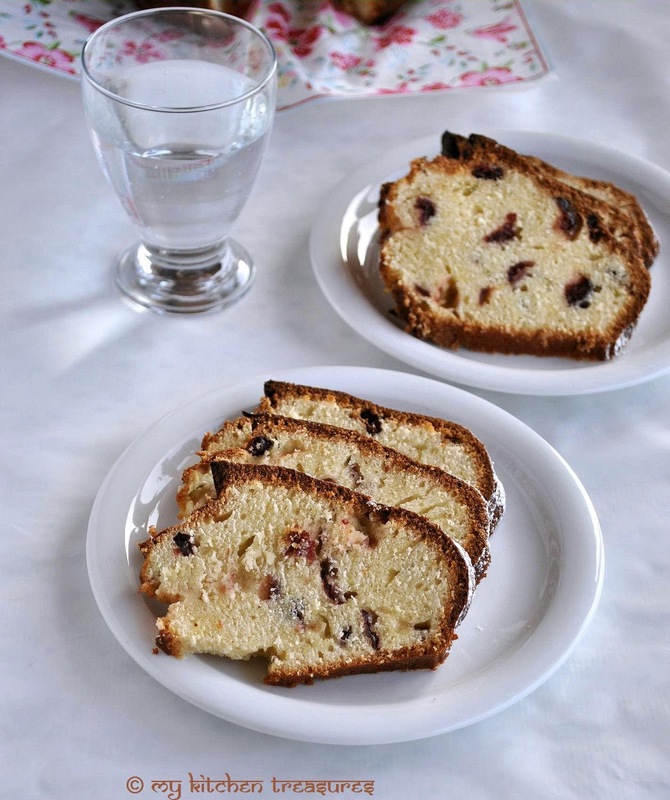 I like lemony pound cake and combined with cranberries sound even better and tastier! awesome cake and nice clicks too!! Very inviting!! Rocking combo, just thinking how tasty it will be..
What a lovely, cheerful alternative to chocolate cake. It would make any birthday celebration happier. 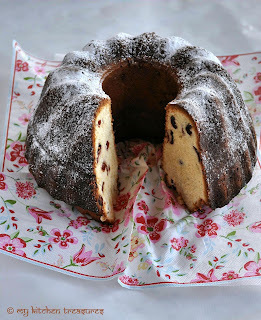 Pound cake looks sooo irresistible.. This looks gorgeous Finla - and such wonderful flavours! liked the fine texture of the cake...and the lemon flavor and cranberry combo! yummy!